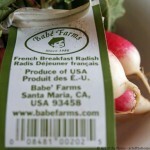 We picked our first US Spring radish bunch at the local store yesterday – oh joy! Love the gently peppery crunch of these elongated radish. 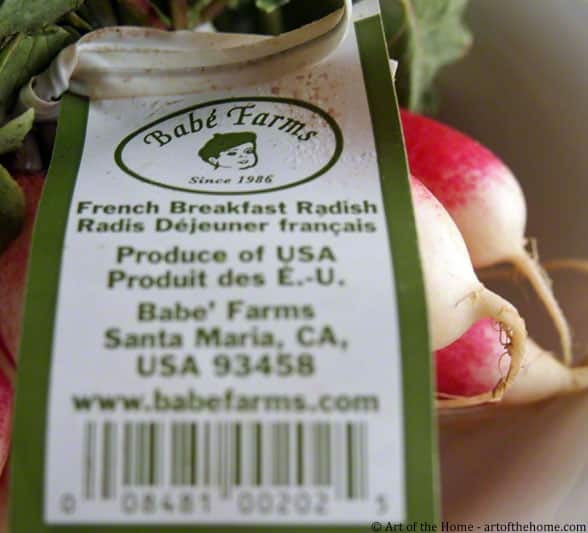 They came from California and they were labeled “French Breakfast Radish” – interesting because to be honest radish are never eaten for breakfast in France. 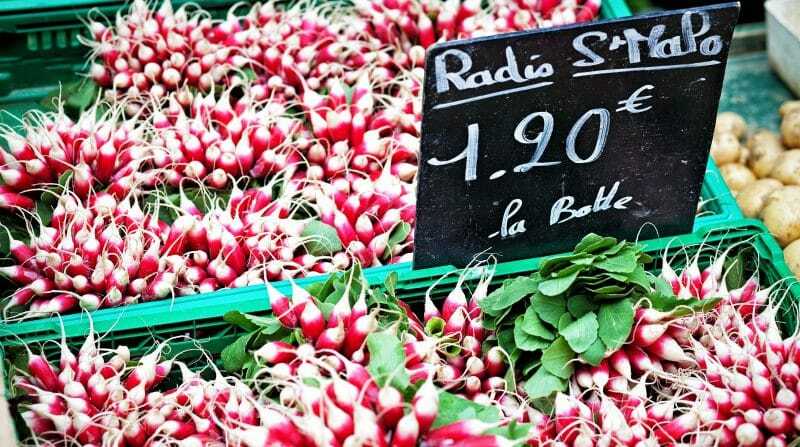 Radish are typically served as a healthy meal starter (the classic radis à la croque au sel for example) or to top salads. The leaves (fanes) can be used in soups or sauces. But regardless, they looked really good (great colors and elongated) so we took a chance and no regrets. They were just right so we’ll enjoy them over the weekend — we already had a few as a healthy snack. May be you’d like to add some radish to your basket as well – they are a great friend to support our efforts to look good in the forgotten summer bathing suit! 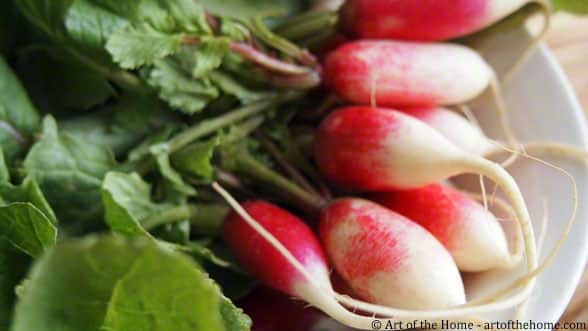 And for more reasons to eat radish, check our Top 4 reasons to eat your radish below. Enjoy!